Grant Colwyn, a private detective, is holidaying in East Anglia when he notices a young man at a nearby table behaving peculiarly. The young man later leaves the hotel without paying his bill, and turns up in a nearby hamlet in the Norfolk marshes where he takes lodgings at the village inn. The next day, another guest at the inn is found dead, and the young man is missing. 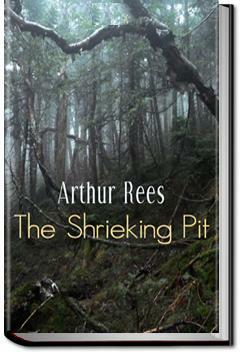 Can Colwyn sort out the mystery and prove the young man's innocence one way or the the other? . . .oor closed after them, and the key turned in the lock. Superintendent Galloway, who had more of the inquiring turn of mind of the police official than the chief constable, asked the innkeeper several questions about his mother and her condition. The innkeeper said her insanity was the outcome of an accident which had happened two years before. She was sitting dozing by the kitchen fire when a large boiler of water overturned, scalding her terribly, and the shock and pain had sent her mad. She had never left the bedroom since, and had gradually become reduced to a condition of imbecility, alternated by occasional outbursts of violence. "Is she ever allowed out of the room?" asked Superintendent Galloway quickly, as though a sudden thought had struck him. Another classic book of murder and mayhem skillfully written with an in depth journey to find out who really did the evil deed and why. I loved it!!! It wants to make yer skin creep! And it does so, in an unintentionally humorous way.